Brinjal, as many of them say, is truly king of all the vegetables. Its one of my favorite veggie. 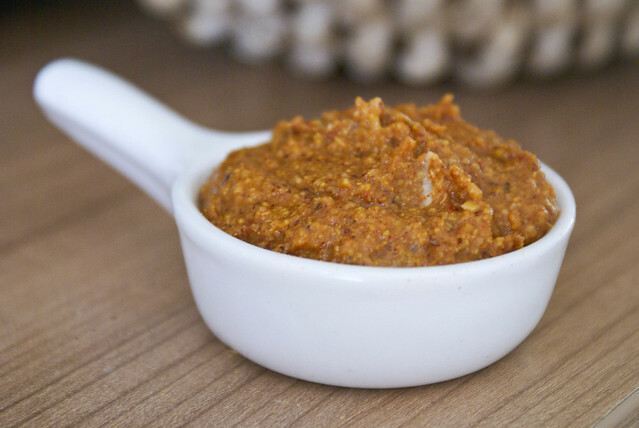 I also love it because its so versatile, and there are endless varieties we can make with it, be it any form bake it, cook it, fry it, roast it or grind it… it tastes delicious in all the forms. I mostly make the stuffed brinjals or chutney with brinjal. 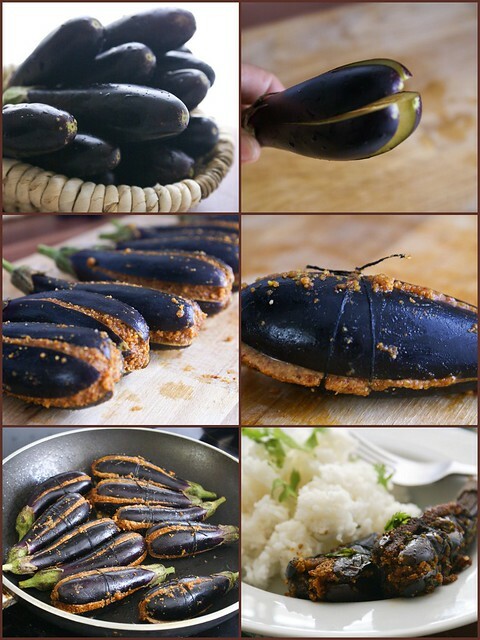 Again there are many methods and varieties in stuffed brinjal. You can make it a curry which is an Andhra speciality as here. Or you can make it dry as a fry as below. 1. Heat oil in a small pan, and lightly fry all ingredients from Red Chillies to Urad dal seperately. 2. Grind together to get a coarse powder. 4. 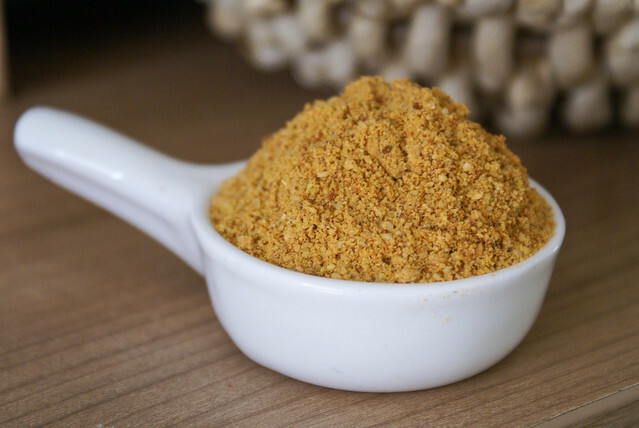 Add butter to this masala powder and mix well to get a paste. 5. Wash brinjals and pat dry. Make 4 slits on each brinjal, on the opposite side of the stem, taking care not to cut it completely. 6. Fill in the masala paste in all brinjals. This step requires some patience, separate the slits of the brinjal carefully and stuff the masala taking care not to break the brinjal. 7. Tie each brinjal with a small thread, this is to prevent the brinjal from breaking. 8. In a wide pan, add a tablespoon of oil, and arrange all the brinjals side by side. 9. Cook for 5 minutes and turn them to the other side, carefully. 10. Spoon some oil over the brinjals if they seem to turn dry. 11. Cook till done, takes about another 10 to 15 minutes. 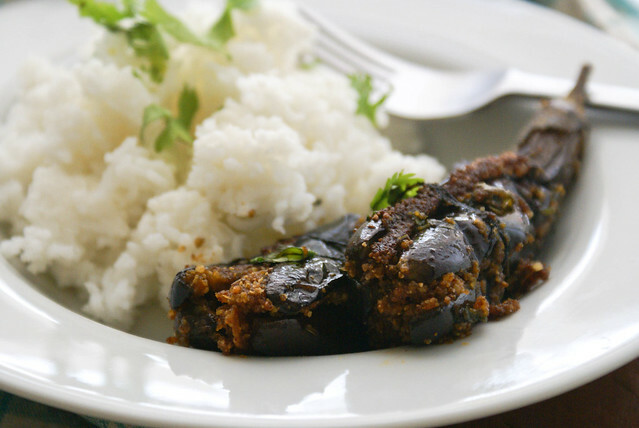 The brinjals we use for regular stuffed brinjal curry, are short and round. For this we use a lil bit long, stout brinjals. Do not use very long ones. Adjust the spice contentby adjusting the amount of red chillies. 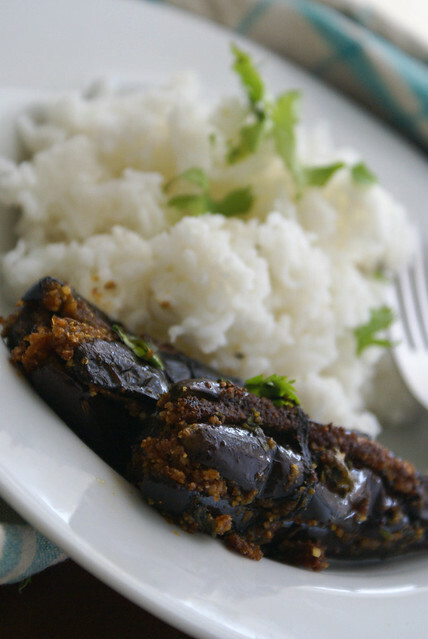 Stuffing looks spicy and roasted brinjal is a perfect spicy and yummy dish with hot plain rice. Thanks for sharing this lovely dish. LOVE LOVE LOVE this stuffed brinjal, sp the spice nd dal stuffing, will give it a shot for my lunch menu and nice clicks too. Try and lemme know how you liked it! 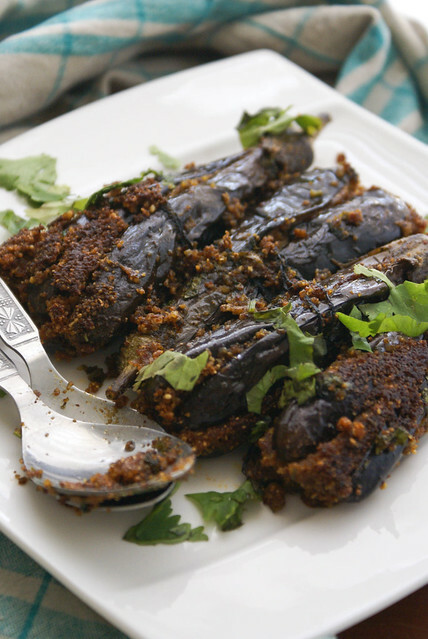 Love this variation of stuffed brinjal with Dal. Nice step by step pics. Would taste this awesome with chapati. Yeah Deepa, it would go well with roti too!!! Just about few days back I too made stuffed brinjal but with a different kinda spice mix. I like the idea of holding it with a thread. Should do that next time. Looks very delicious!. I love the stuffed brinjal but my husband prefers to cut it up. and fry with the masala so its been a long time I tried them, should make it when he is not around..